Sorry in advance if this better belongs in a different thread, but it is somewhat related to ML on the 70D. Long story short: My 4 year old 70D has had ML enabled and running successfully on it for the last few years. I decided to sell it (as I have a 7DMk2 now) so I uninstalled ML (using the menu option) in order to sell my camera in original 'as built' condition for the future owner. (Probably unnecessary, but anyway, I did). The sale process had an unplanned pause of 5 months inserted in it, during which time the 70D was left unused in my camera bag without a battery installed. When I came to start the sale process again last week, I put a fully charged battery back in and tried to turn the camera on, but absolutely nothing happened! I still can't turn the camera on no matter what I do. Other batteries don't work, leaving SD cards out makes no difference, using ML bootable card also does nothing, different lens attachments do nix either. There is no sign of LED/LCD life at all, the battery door switch has been tested and works correctly. The only sign of life is that the battery does actually go down if I leave it in the camera for a while, so something may be happening internally, just nothing under control of the user! The internal on-board rechargeable battery also seems to be ok. Don't know that it actually went flat, but I understand it is recharged off the main battery? So if it did get low, it would not have been able to recharge before I tried to re-use the camera. It is currently reading 2.88v. It has since been briefly removed and reinstalled in an attempt to 'reset' things (but I don't know if it has really done that though). Is there any chance that the fact that I uninstalled ML and then left the camera basically without any power for some time, that certain critical battery-backed memory may have lost/corrupted it's contents? Could this have put critical boot flags in the camera in an incorrect state such that the boot loader sequence is no longer being run? Just wanting to eliminate this as a possibility before I finally resign myself to the fact that my 70D may have became the latest addition to the queue of other 70Ds that have been reported as failing inexplicably to the extent that the only recourse is to replace the motherboard. (eg see http://community.usa.canon.com/t5/EOS/70D-wont-turn-on/td-p/163122). Although I guess unless there is a tool out there that would allow me to get control of the boot-process again so that corrupted flags/memory locations could be re-instated, I guess I'm probably up for a mother board replacement whatever the cause is (i.e failed hardware or corrupted volatile memory/firmware) ?? 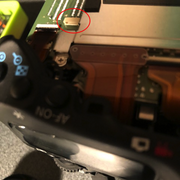 FWIW, while I was inside the camera body checking the backup battery, I did notice an unused connector which may be a JTAG port? EOS 7DII, EOS 70D, EF 70-200 f/2.8L USM, Sigma 150-600mm Sport zoom, EF-S 60 f/2.8 macro USM, EF-S 18-135 f/3.5-5.6 IS, EF10-20mm wide angle. - Format card using ML menu with Q button pressed. All data will be lost!" - Running ML installation process and waiting for timeout (60s)? Hmm, a while since I did it, but the first one sounds most likely as it 'sounds' like what I was wanting to do (ie remove all trace of ML from the camera). But now reading the way the prompt is worded makes me wonder whether 'removing ML' from the camera (which would just be restoring the boot flag, as I understand it, since ML code isn't actually left resident on the camera) or just removing ML from the card and reformatting it would have been the result? How do the outcomes of the two options differ? - cam will get stuck with incompatible cards: Some SD-to-CF adapters (doesn't apply to 70D, of course) and older eyefi. - trying to load ML if a bootable card is inserted. If card is bootable and autoexec.bin missing -> cam gets stuck. Remove battery, remove card. Format card using cardreader. Insert battery, insert card. Close compartment doors. Startup cam. Yep. Done that ad infinitum. I'm not getting any life even with no card inserted. What do you mean by "- slow down startup process and wake-up from sleep"? Is that a comment, or a suggestion to do? If so, how? Cam's bootflag still set with first option. Cam will read cards at startup/wakeup and looking if card is bootable. - cam will get stuck with incompatible cards: Some SD-to-CF adapters (doesn't apply to 70D, of course) and older eyefi. EDIT: And microSD-to-SD adapter without microSD inserted or broken will block cam from starting, too. If cam's bootflag is set and - for whatever reason - card slot's card detection switch is defect cam will get stuck if *no* card is inserted. Therefore: Retry with formatted card, just to humour me. No luck. I'm thinking my bootflag is no longer set in the camera. Apart from changing the bootflag, when uninstalling ML, is there any possible data/variable residue, or program code, that is in any way related to ML left anywhere in camera memory ? Last test: What happens if you startup EOS Utility and connect cam to computer? unfortunately, it does nothing, with SD card (non-boot or bootable ML), or without card inserted. But how do you know your card is bootable? Do you have used MacBoot/EOScard/shell script to make card bootable? Is it possible to try any other options? Cam not showing any signs of activity (LED blinking, screens flickering, any sound at all): It's up to a1ex for a final verdict but I would say this cam is an ex-cam. I take it for granted you checked card compartment door switch before. Indeed; with a ML card inserted, you should see at least a LED blink. There is a low-level portable display test, but since you couldn't get any LED blinks, I doubt that would be useful. However, since you were not afraid of opening the camera, you could try this route; if you can get any sort of messages on a serial port, that might help. The technique is unexplored, but I've got the required hardware; just needed a reason to start looking. JTAG might be helpful too, although I have no experience with it. I might give it a try if you don't have any other option. Both these links go to the same place?! 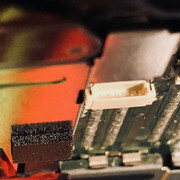 I'm willing to try the JTAG route if for no other reason than the challenge, but also in the hope of possibly understanding what has gone wrong and whether it may be possible to unbrick the camera. I have both RPi and Arduino, and a camera that does not need to be restored in a hurry. So with nothing much to lose other than potentially some resale value the longer I keep it (assuming it is still worth repairing) and some time, and everything to gain from the possibility that I might avoid >$400 unnecessary expense, I'd be prepared to give things a go if someone wanted to provide technical support/guidance!? In the meantime, I'll see if I can grab a battery grip (hopefully one that is compatible with both 70D and7D Mark 2, and not so costly it cant be sacrificed to the cause) to try the technique/s in the link above. Here's the happy ending to the story of my Canon 70D not turning on! Having researched further and concluded that my camera's main board was cooked (ie nothing to do with ML), and then been given the news (by Canon service) that since my camera was out of warranty (4 yers old), that a replacement main board was going to cost me in excess of $500 to replace, I reluctantly decided to send the camera to Canon to be repaired. A few days after shipping it off, I happened to be on the Canon site and came across this product notice! Long story short, my 70D qualified for a free mainboard replacement! Wow! I was feeling a bit down on Canon before this, but now I can only say "Thanks so much Canon for restoring my faith in manufacturers who do demonstrate that they value their customers and will (eventually!) stand fully behind their products!"